Can you see the end yet? Can you see the end of the school year yet or are you one of the lucky ones already out for summer? 5 days to go here!!! What about you? 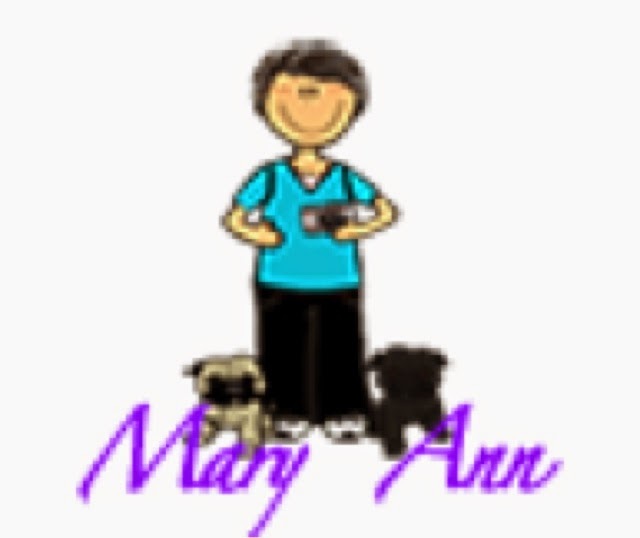 I know it's been a while since you've heard from me and believe it or not I really miss blogging! 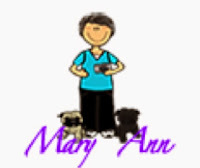 When things get tough-this time with end of the year behavior issues; blogging seems to quickly fall down in my priority list. It shouldn't because it really is cathartic in many ways. Well with those issues taken care of and summer almost here, I have been reflecting on what has worked this year and what hasn't. 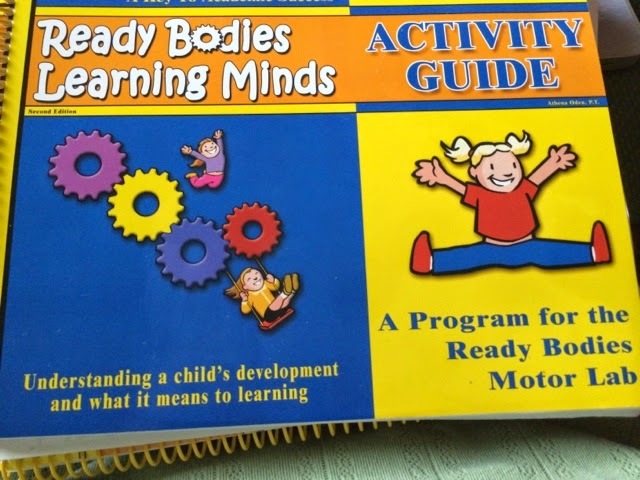 Earlier this year I wrote about starting a motor lab based on the book, "Ready Bodies Learning Minds" by Athena Oden, P.T. This turned out to be one of the best things that I did all year! Here are the first 4 stops in our motor lab. My kids would arrive in the classroom in very scattered, talking about what they did at home, what they had to do that day and nobody was really focus on exactly what our job was to do. Even after we had morning meeting, the class still lacked some focus and direction. With the help of my schools physical therapist, I implemented this motor lab. 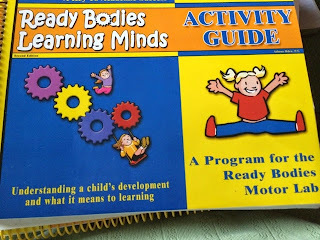 I found very quickly that once the kids had been involved in some organized physical activity at the beginning of the day, they were able to settle down and focus better on what they were to do. So I thought I would share with you parts of our motor movements today. My lab which we called Motor Moments, was done 3 to 4 times a week and began with a set of warm-up exercises. Here you see the kids doing one of the warm-up exercises known as Superman. You'll see in the picture that some of the kids are doing it correctly with straight arms out front and straight legs out back. Both should be lifted up off the ground while some of them have not quite achieved that perfection, but that's what happens when the teacher stopped to take pictures for a blog. After warm-up exercises then our first exercise is the balance beam. Our balance beam this year was two pieces of tape on the floor as many of our kids had not done this type of balancing activities prior to this. 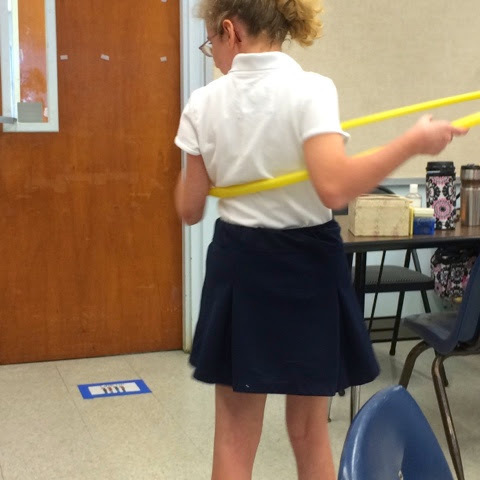 Next year I'm looking to get a type of balance beam that still sits on the floor but elevated only about 1 1/2 inches. 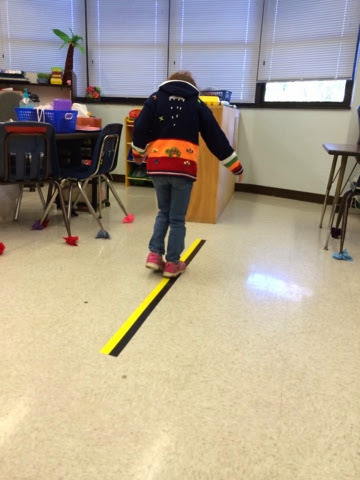 For this exercise, the kids must walk the balance beam forward and then walk it backwards. This is one of the hardest activities to teach the kids to do. 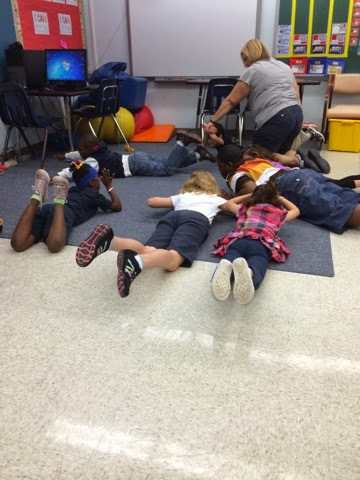 We started this activity just trying to get the kids to make the hula hoops go around their bodies. The goal of this exercise is to do 10 rotations of the hula hoop around your body without stopping. Now almost at the end of the year, I have to say that this is one of the favorite activities of all the ones we do in motor moments. Every child has improved and each one loves to try to do it. We have a therapy ball in our room that is yellow and in the shape of a peanut in a nutshell. So the kids call it a peanut ball. 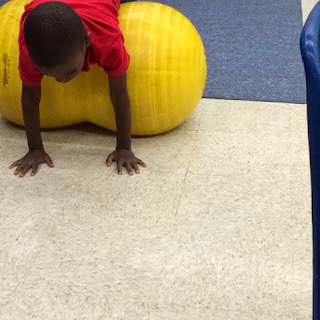 For this exercise the kids lay on the ball on their stomachs and roll forward and then back balancing on the ball. 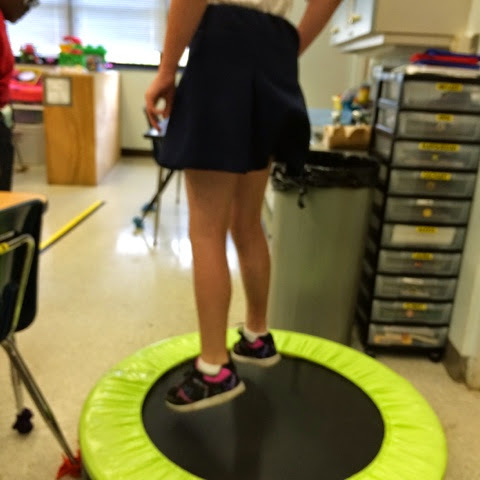 The mini-trampoline is the most popular section of our motor movements. It took quite a while to teach the kids to be able to have the muscle control and the balance to work on the mini-trampoline but they now can all jump 50 jumps on the mini-trampoline. Of course there is always adult supervision right there! Those are the first few stops on our rotation. 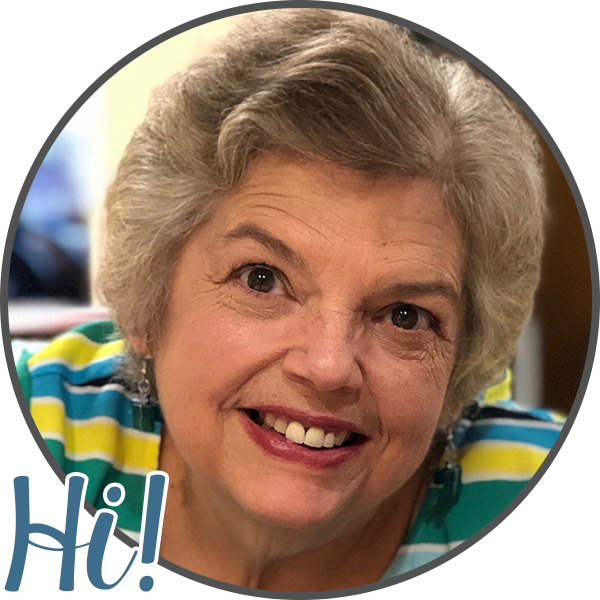 I look forward to sharing more of this great activity next time!